I was talking to my mom about soup last week and she mentioned that she was craving a good cream of broccoli soup. 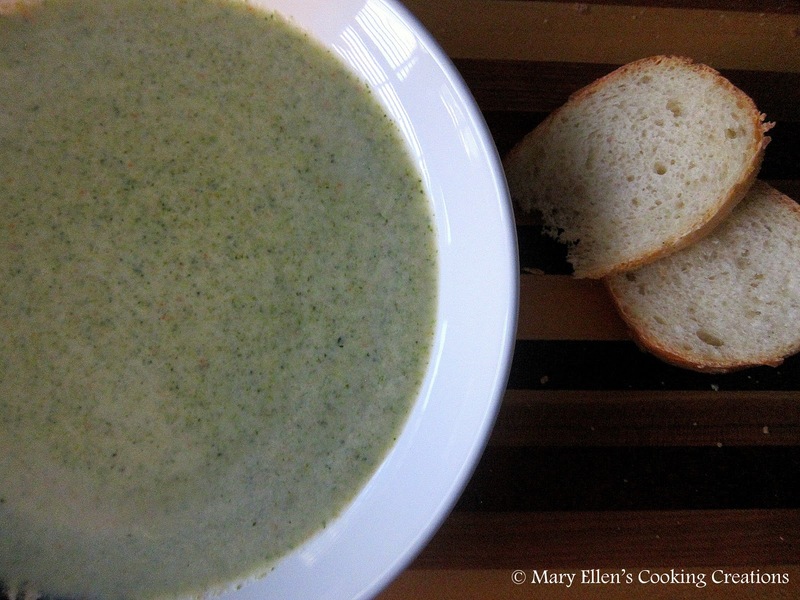 So when trying to decide what soup to make this past weekend, choosing broccoli soup was a no brainer. I made enough for both my mom and I to have it for lunch for 4 days. I didn't use a recipe - just made this up as I went along. We both loved it! Creamy, cheesy, and the perfect lunch with a nice hunk of crusty bread or a small sandwich. Heat butter and oil in a large soup pot. Add onion, garlic, celery, and carrot. Saute 4-5 minutes. Add the broccoli, a few pinches of salt and pepper, and the broth; bring to a boil then let simmer for about 8-10 minutes, until broccoli is tender. Remove from the heat and puree using a handheld immersion blender (or transfer to a blender and puree in batches). Return to low heat and add the cream. Let heat through for a few minutes. Add the cheese and stir until melted through the soup.